Source: http://www.blic.rs– July 15. 2018. Source: http://www.opanak.net– June 22. 2018. Source: http://www.opanak.net– June 02. 2018. Source: http://www.distrikt.rs– May 31. 2018. Source: http://www.podrinske.com– May 12. 2018. Source: http://www.opanak.net– May 12. 2018. Source: http://www.opanak.net– April 26. 2018. Source: http://www.vesti-online.com April 7. 2018. Source: Dijaspora April 7. 2018. Source: http://www.vesti-online.com April 2. 2018. Source: www.podrinske.com – March 29. 2018. Source: http://www.opanak.net– March 28. 2018. Source: http://www.opanak.net– February 03. 2018. Source: http://www.podrinske.com– January 22. 2018. Source: http://www.serbianmirror.com– July 01. 2017. Source: http://dijasporanavezi.rs– June 30. 2017. Source: http://www.rts.rs– June 29. 2017. Source: http://podrinske.com– June 22. 2017. Source: http://www.rts.rs– June 14. 2017. Source: http://www.mfa.gov.rs– May 7. 2017. 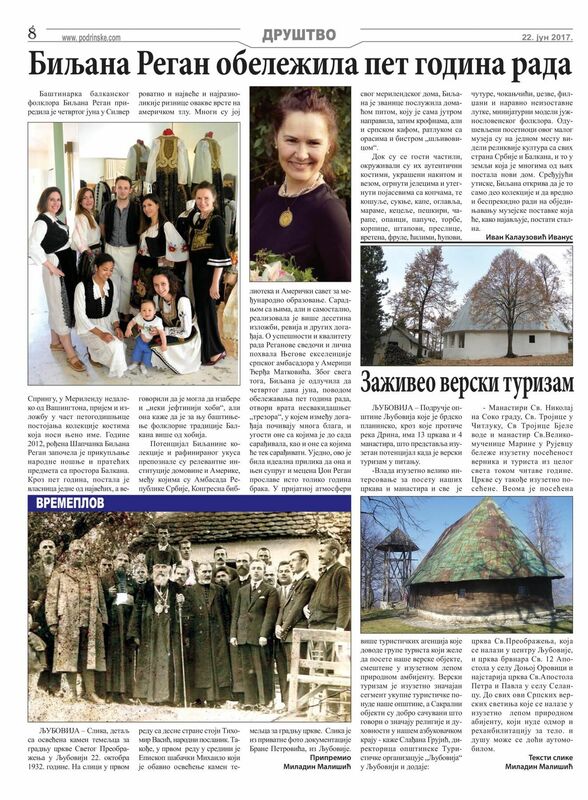 Source: http://dijasporanavezi.rs– April 24. 2017. Source: http://rts.rs – April 21. 2017. Source: http://rts.rs– April 21. 2017. Source: http://rts.rs– April 12. 2017. 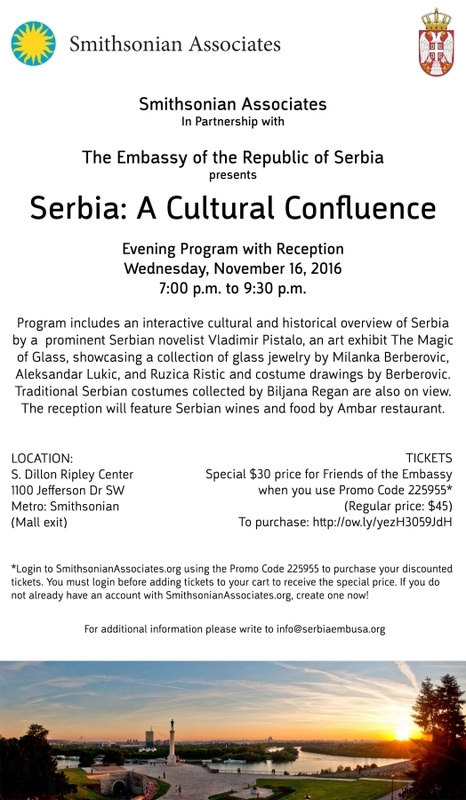 Source: Embassy of the Republic of Serbia – November 16. 2016. Source: Embassy of the Republic of Serbia – November 2016. Source: http://rts.rs – June 24, 2016. Source: http://rts.rs – May 11, 2016. Source: http://serbianmirror.com – May 1, 2016. Source: http://rts.rs – April 27, 2016. Source: http://srbijanavezi.rs – April 27, 2016. Source: http://rts.rs – April 14, 2016. Source: http://podrinske.com – April 7, 2016. Source: http://srbijanavezi.rs – March 26, 2016. Source: http://www.rts.rs – March 24, 2016. Source: http://bisnow.com – March 21, 2016. Source: http://podrinske.com – January 14, 2016. Source: http://serbianmirror.com – November 2, 2015. Source: http://www.rts.rs – October 14, 2015. Source: http://srbijanavezi.rs – October 14, 2015. 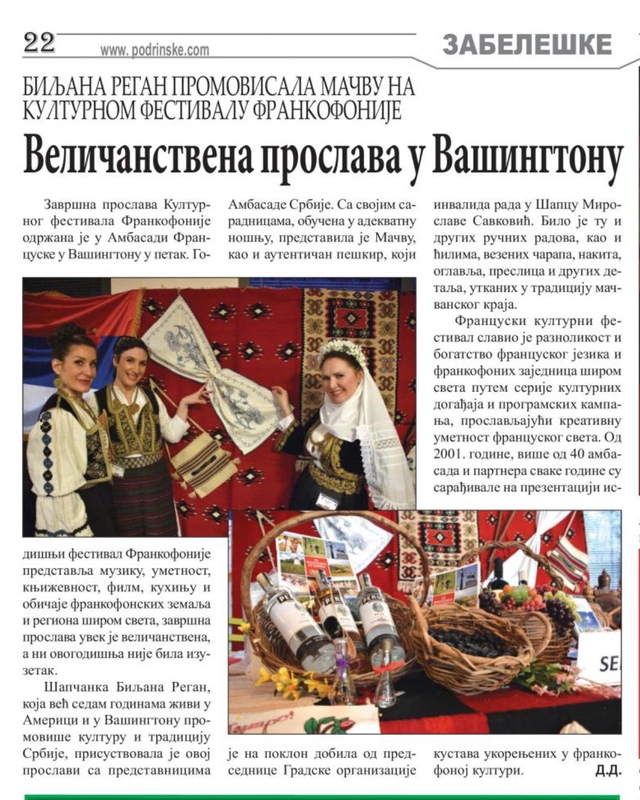 Source: http://srbijanavezi.rs – October 10, 2015. Source: http://srbijanavezi.rs – June 28, 2015. Source: http://www.rts.rs – June 19, 2015. Source: http://serbianmirror.com – May, 2015. Source: http://srbijanavezi.rs – May 12, 2015. Source: http://srbijanavezi.rs – May 11, 2015. Source: http://www.rts.rs – May 10, 2015. Source: http://www.rts.rs – April 15, 2015. Source: http://dijasporanis.com – April 10, 2015. Source: http://www.b92.net – February 8, 2015. © 2015-2019 Copyright by Biljana Regan. All rights reserved.